Kawasaki W650 inspired by a mix between trackers from the 60's & the spirit of the gentleman riders from the 40's. 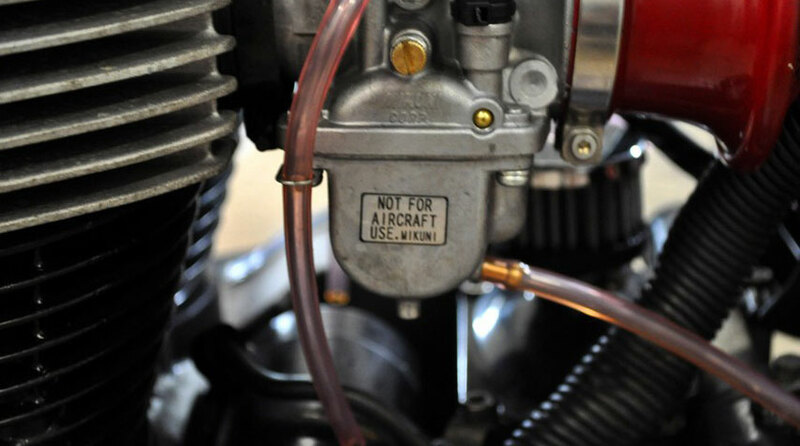 Mikuni VM 34 carburetors to make the engine breathe better! 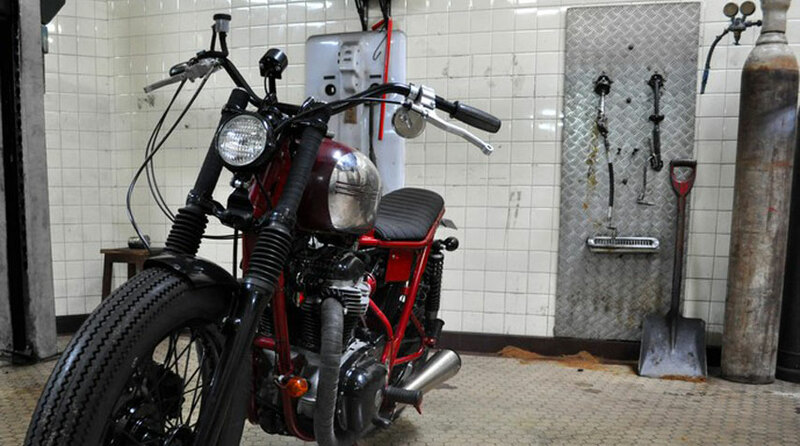 Jawa CZ350 tank installed in its original condition. 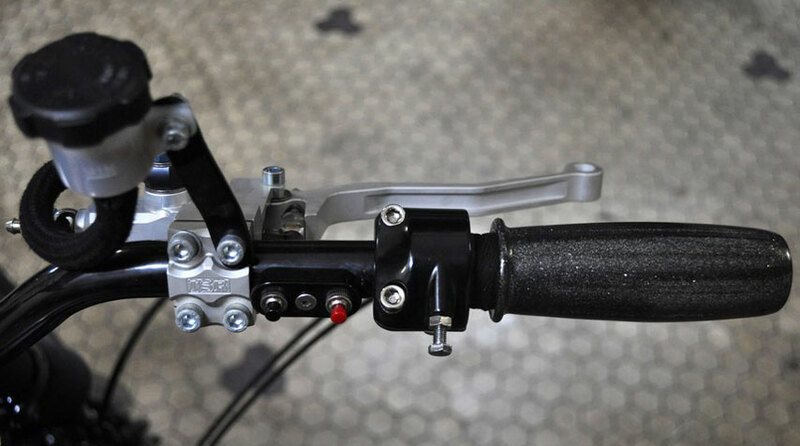 Right switch for starter and speedo display. Left switch for horn and indicators. - Firestone Deluxe front and rear tires. - Carmin red powder coated frame. - Shiny black powder coated front fender (handmade), forks and wheels. - Handmade rear fender with shiny black powder coated. - Custom ‘mini bates’ tail light. 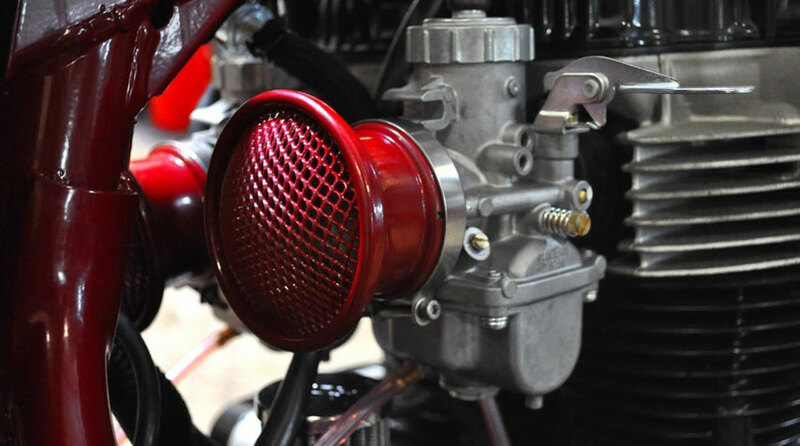 Red carmin, powder coated, handmade alloy air filters.